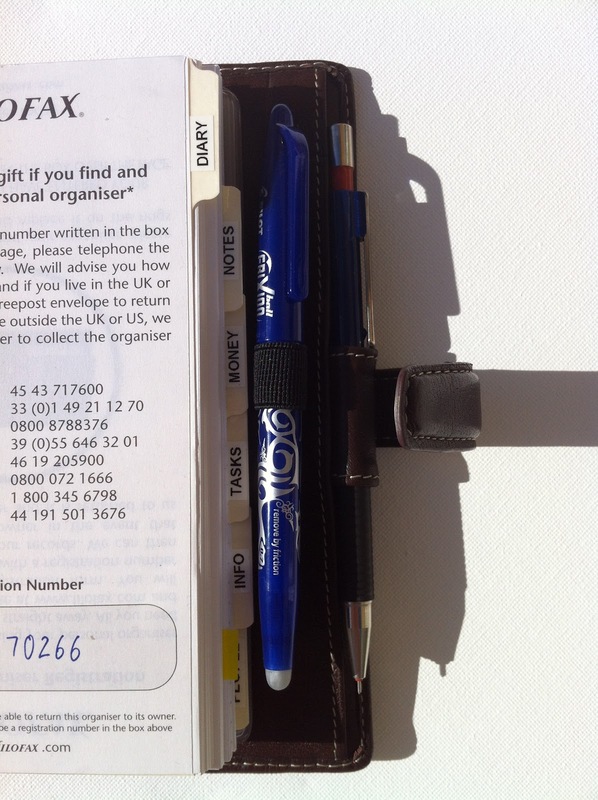 A single pen loop is common, at least for Personal size Filofaxes. 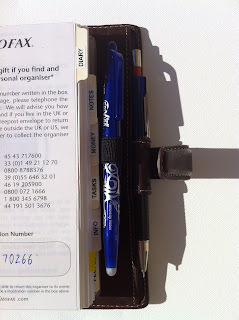 Often, they are a little ungenerous, refusing to accommodate wider pens like the Frixion. The solution is a Leuchtturm 1917 pen loop. I got one of these from Amazon but haven't actually felt the need to use it yet. I think they're a really good idea, especially for people who don't use Filofaxes and use diaries that don't have a pen loop at all. 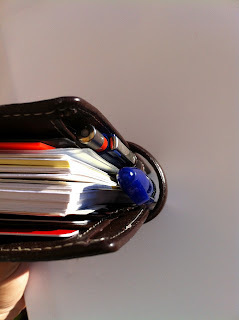 Regarding the Frixions, I solve the problem of fitting them in my pen loops by putting a 0.7 refill in a 0.5 barrel. 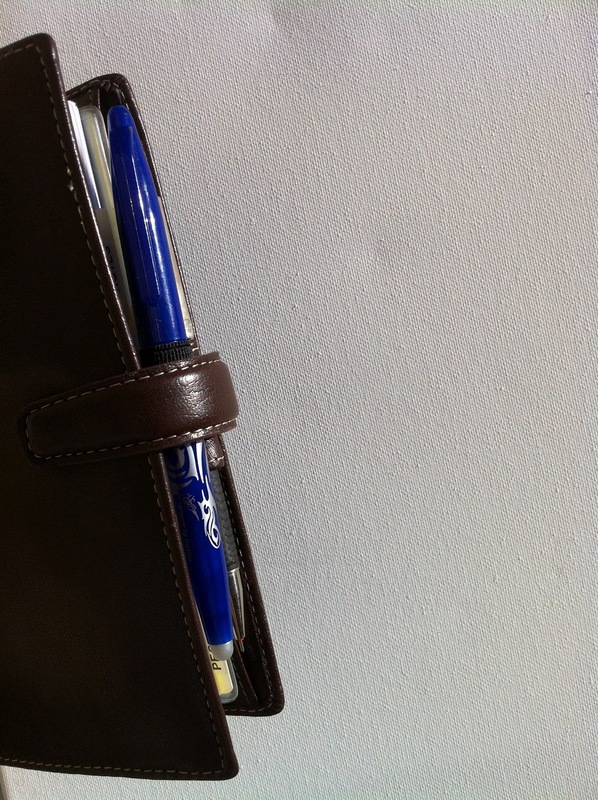 But as I use slimlines now, it isn't an issue anyway because only the clip of the pen fits in the loop. Which I'm finding is actually surprisingly handy! Staples also has these for $2- I have one in my Malden! Neat! 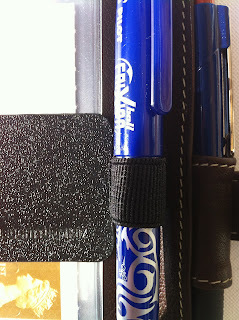 I use a small paper clip fastener thingy attatched to a transparent pocket and slide my pen grip in and out. I borrowed the idea from someone else. 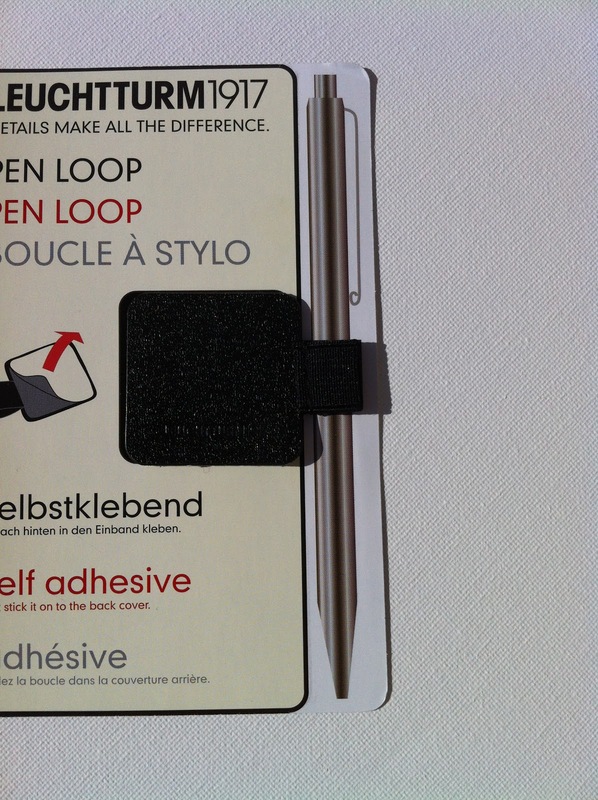 It's good, because I can use the clip to hold receipts,pieces of paper etc and they come in a range of colours. Buy this looks like a cracking idea for my work binder. J- did you get your at an actual staples store or online? I tried Office Depot yesterday but no luck. 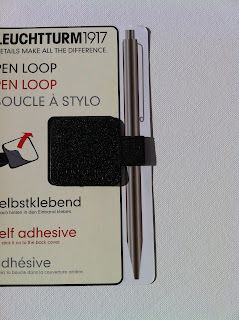 I LOVE these pen loops! 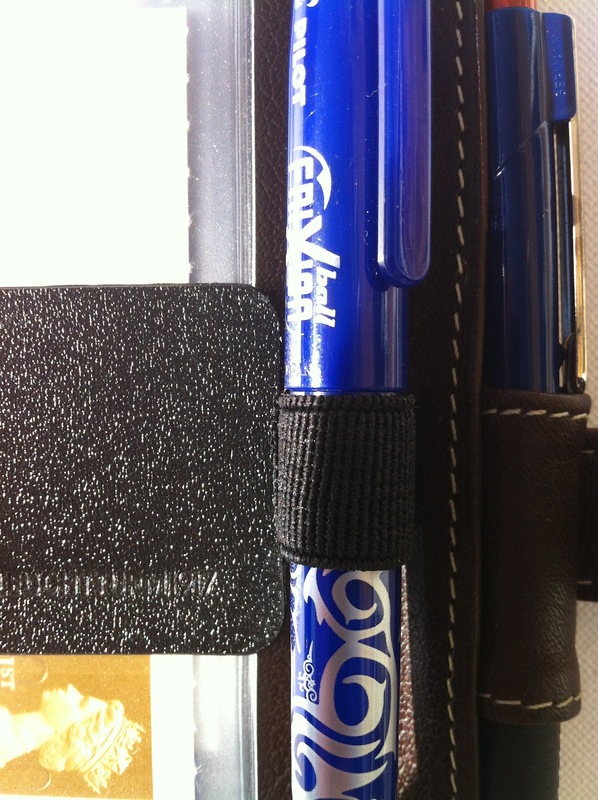 I put one into my Compact Metropol, and am planning to do a combination flyleaf/Leuchtturm hack for my Malden soon.